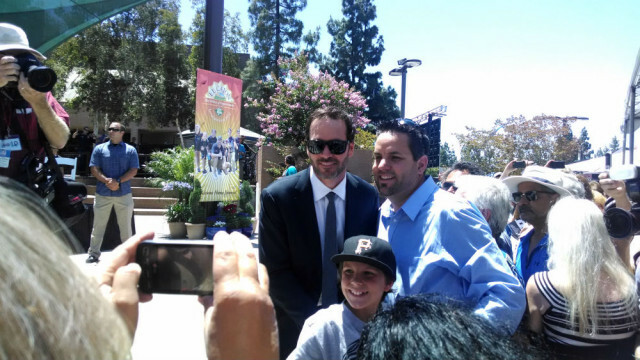 With hundreds cheering on Centennial Plaza, the city of El Cajon honored native son and champion NASCAR driver Jimmie Johnson Tuesday for his accomplishments and philanthropy. Johnson, 38, was born and raised in El Cajon and graduated from Granite Hills High School. He now lives in Charlotte, NC, but continues to support his home town through philanthropy. 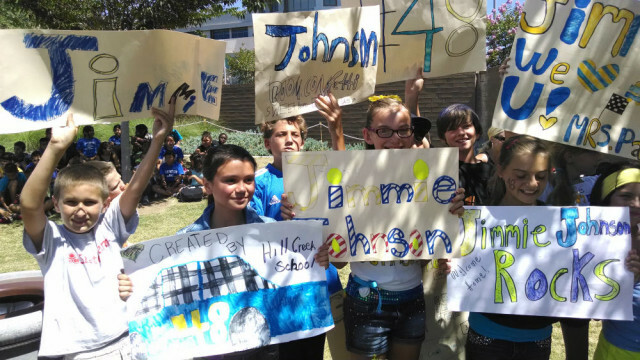 His foundation has provided $6.5 million to schools in El Cajon and across the country. 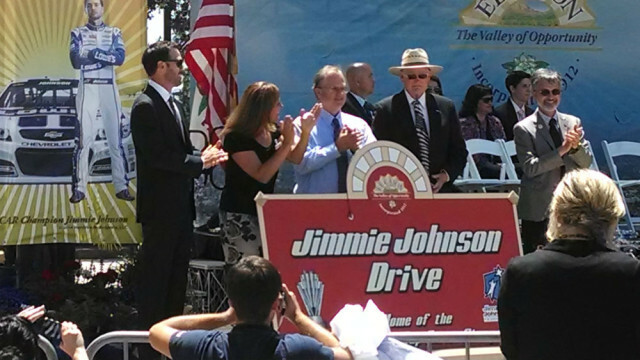 “El Cajon’s city motto is the ‘Valley of Opportunity.’ Jimmie Johnson truly embodies this,” said El Cajon Mayor Bill Wells. 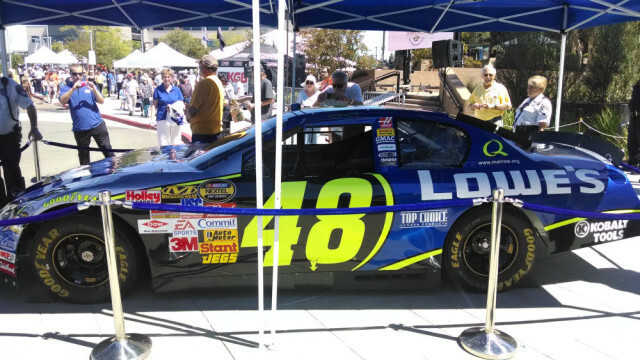 Wells and the El Cajon City Council declared Tuesday to be “Jimmie Johnson Day” in the city, and State Sen. Joel Anderson presented a proclamation declaring it “Jimmie Johnson Day” throughout California. “He’s not a just a champion on the racetrack, he’s a champion in the community and in our hearts,” Anderson said. 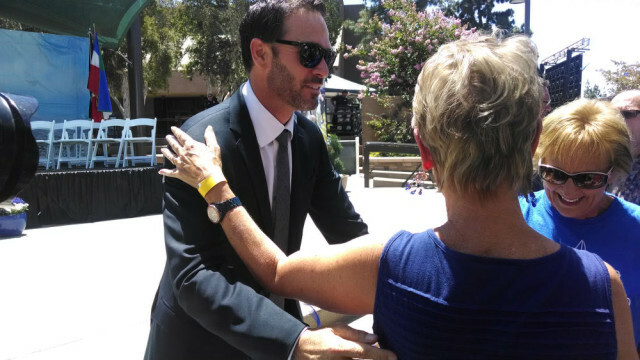 The city unveiled a sign proclaiming 2nd Street as Jimmie Johnson Drive and presented a special No. 48 guitar made locally by C. F. Martin & Co. Representatives from Congress members Susan Davis and Duncan Hunter presented Johnson a flag that had flown on the U.S. Capitol. Johnson won his 69th race on Sunday. Last year, he won NASCAR’s Sprint Cup Series championship for the sixth time.